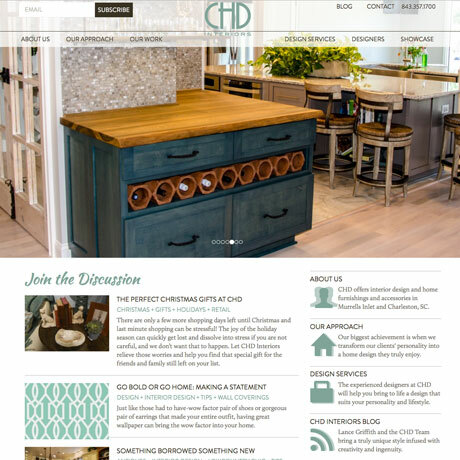 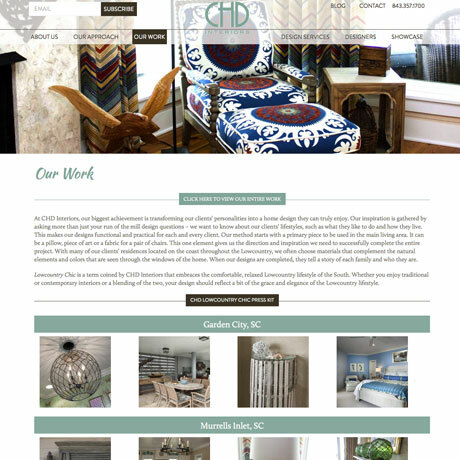 CHD Interiors is a custom interior design firm that offers one-of-a-kind home furnishings and accessories in its retail stores in Murrells Inlet and Charleston. 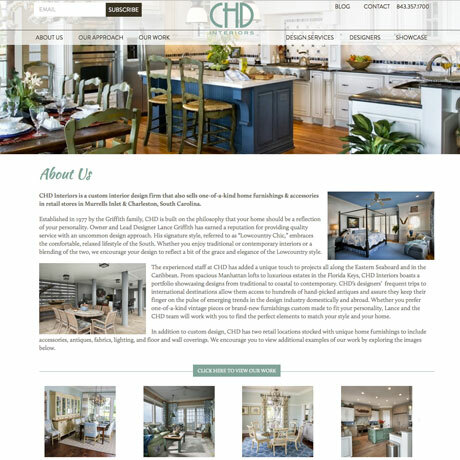 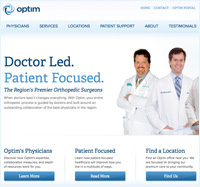 To show off CHD's design expertise and style, we incorporated a prevalent mix of the company's design and product pictures to entertain the site's primary focus. 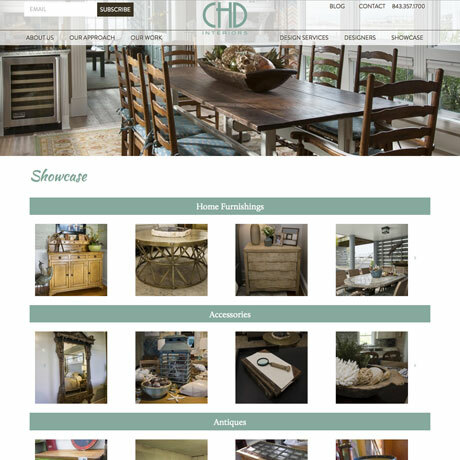 Throughout the site we incorporated multiple showcase galleries as well as a comprehensive step-by-step breakdown of CHD's design approach using real world examples.